Is your business ready for the ‘Making Tax Digital’ deadline? Making Tax Digital (MTD) is getting ever closer for UK small to medium-sized enterprises (SMEs) when it comes into force in April 2019. MTD applies to any business in the UK which has an income above the VAT threshold of £85,000. A business under the VAT threshold can still opt in voluntarily and as there’s been no clear guidance as to where this legislation leaves them, it would probably be wise to err on the side of caution and opt into MTD if you think you’re likely to earn over £85,000 in the next business year. 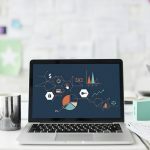 We also highlighted research from cloud accounting software provider Xero, saying that 78% of accountants still work off computer spreadsheets whilst 18% still use a paper ledger. More recently, research from Intuit QuickBooks, a leading online accounting software provider, found that whilst 75% of UK accountants have heard of MTD legislation, almost 30% are still unclear what it means for their practice. As we mentioned in our previous blog, at Sestini & Co we’ve been using online software such as Xero for years, to help ensure our clients can keep on top of their finances and we’re one of the few accountants who are keeping pace with the latest technology. Is your software solution digital? Can your software hold all of your financial information? Can it hold at least six years of financial records digitally? Can it generate a VAT return and share it with HMRC digitally? Can it receive HMRC data digitally? If you answered ‘no’ to any of the above, then your software is unlikely to be MTD-compliant.